For decades, the water cooler was the paragon of connectivity in the workplace. It was a space where people gathered each day to touch base about projects and bond over what happened during last night’s Chiefs game. 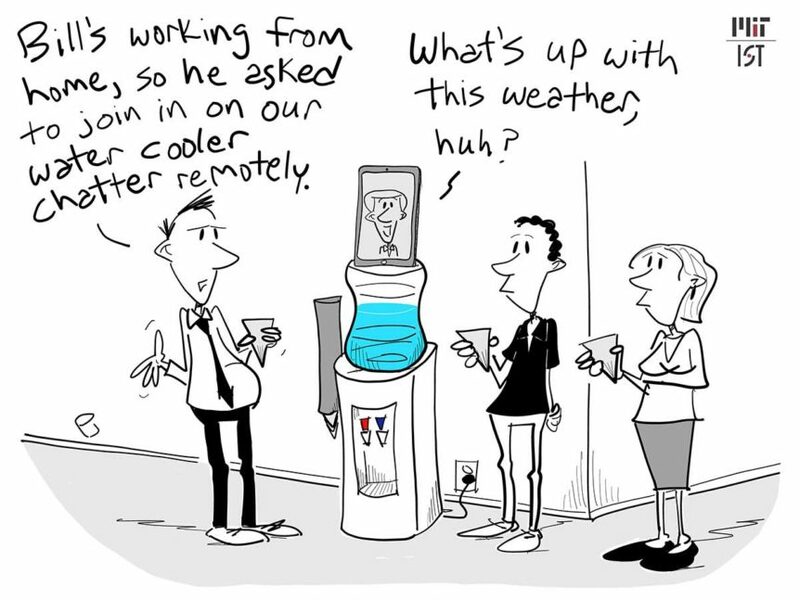 The water cooler’s power lies in its ability to catalyze communication, and thanks to collaborative tools you can stand by that water cooler from anywhere. As businesses become increasingly global—and as more businesses are encouraging remote opportunities—communication and collaboration are becoming more important and harder to achieve. While flexibility to work remotely is a perk, it means that companies have the added challenge of finding ways to bring the employees together for projects. In fact, research shows that a lack of communication is an issue across the board for organizations of all sizes. 86 percent of employees and executives cite lack of communication and collaboration for workplace failures, and 39 percent of surveyed employees believe individuals within their organization don’t collaborate enough. For your employees, the cost-savings of travel time and communication are invaluable. Gone are the days of forgetting to carbon copy a team member on an email about a project. With distinct channels through collaborative software, you are able to ping the entire project management team whenever there are updates. Are you ready to improve your company’s productivity and culture? Collaborative software could be the missing piece to your company’s communication puzzle.